The IR Magazine Forum – Canada 2019 is the must-attend event when wanting to learn about the developments within the world of investor relations. Join us to learn how to adjust your IR program as the impacts of Mifid II become more apparent, take a refreshing look at targeting, stay updated with policy changes and get the truth about what the buy-side and sell-side really want. Taking place on the day of the IR Magazine Awards – Canada 2019, IR professionals from across the region will be in Toronto to share their experiences, perspectives and teachings about the latest issues impacting Canadian public companies and their investors – including award winners from 2018! You can find more details including the agenda below. The event is open to all IR professionals. A look at the factors that will influence investment decisions in 2019, how sentiment will be impacted and what IR should do to position itself appropriately. What impact have trade tensions and global politics had on investor sentiment? Discuss how to get the balance right between the relatively stable retail and larger institutional investors, and the nuances in approaches needed to engage these very different stakeholders. With the first full Mifid II costs and charges disclosed, everyone is looking at how the regulation will impact corporate access and research coverage in 2019. If the buy side is more conscious of spending and the nature of relationships between companies, brokers and investors, what can be done to manage increased engagement with the buy side? How does IR need to adapt to a reduction in coverage and ‘juniorization’ of the sell side? Simon Rose, chief executive officer, Rose and Co. Discover what keeps your most important audience up at night. Hear fund managers speak candidly about their pet peeves and most desirable IR traits. Should you be spending more time overseas? How to find and engage the right international investors? When do extended trading times, additional liquidity and increased access to capital created by dual-listing outweigh the costs? How do you know whether it’s right for you? What changes does the investment community expect to see following Mifid II implementation? Q&A: How much weight do investors give to ESG factors when making decisions? What are the gaps between what the markets are looking for and what public companies are communicating around ESG factors? How does ESG impact the decisions made by the buy side? How can IR help inform these decisions? What role does IR have in the ESG ecosystem? When, how much and with whom should you engage? Take a look at what is new in the world of corporate governance, and how IR and your board need to adapt. When crises happen, IR proves it’s true worth, and no crisis is more prevalent in Canada than the threat of an activist at your door. Explore how activist approaches are changing in the modern investment environment. 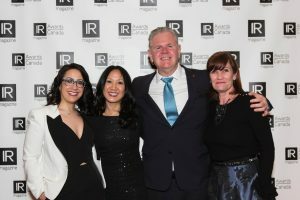 The 30th anniversary gala for the IR Magazine Awards – Canada 2019 will convene on April 3 at the Ritz Carlton, Toronto. It remains the Canadian IR community’s largest annual gathering and is an evening of unforgettable celebration and networking for investor relations officers along with their senior management, advisers and analysts. Get in touch with us or visit our awards website to find out how to reserve your seat at the gala dinner. Camilla Bartosiewicz is Vice President, Investor Relations at Altus Group Ltd., (TSX: AIF), a leading provider of software, data solutions and independent advisory services to the global commercial real estate industry. She is a senior investor relations (IR) executive with over 10 years of experience in implementing strategic IR programs for publicly traded issuers, including special situations communications around mergers and acquisitions, shareholder activism, equity and debt offerings, restructurings, executive transitions, business model transitions, and crisis situations. Camilla has established relationships with a number of global financial institutions and serves as corporate spokesperson and first point of contact with shareholders, financial analysts and the broader investment community. She has a proven track record of executing strategic investor relations programs that result in effective investor outreach, solid stakeholder relationships and, ultimately, improved shareholder value. Prior to joining Altus Group in 2014, she served as Director of Investor Relations and Corporate Communications at North American Palladium, a dual listed resource company. Earlier in her career, Camilla worked as a consultant at Kingsdale Communications Inc. and at Barnes McInerney Inc. where she advised clients on IR and special situation communications. Camilla holds a B.A. Hons in Media Studies from the University of Guelph and a Diploma in Public Relations from Humber College. She currently serves on the board of the Ontario Chapter of the Canadian Investor Relations Institute (CIRI) and occasionally presents on IR-related topics at industry events and in schools. In 2018, under Camilla’s leadership, Altus Group received multiple IR Magazine awards, including “best overall investor relations” and “best IR by a CEO”, and in 2017 “best IR by a senior management team”, all for the small cap category. Over her 25 years of professional experience, Valérie Cecchini has managed a variety of equity funds, from large cap to small cap, and across developed markets, including North America, Europe and Japan, as well as a Global Information technology fund. She joined Investors Group / Mackenzie Investments in 2011, where she oversees the Investors Summa SRI (Sustainable and Responsible Investing) Fund. She has also been given special responsibility for incorporating the environmental, social and governance (ESG) approach within the management and research team. Prior to joining Investors Group, Valerie worked for Standard Life Investments as Vice-President and Portfolio Manager, managing several North American equity Funds. She has received a number of industry honours, and was nominated to the “Top 25 Financial executive in Quebec” by Investment Executive and was the winner of the “Portfolio Manager of the Year Award” in 2016. Valerie graduated from HEC, University of Montreal business school, with a Master of Science in Finance degree and hold the CFA, and CPA, CGA designations. She is also among the first cohort and is the first portfolio manager in Canada to have received the SASB’s Fundamentals of Sustainability Accounting Credential (FSA). Milla is the Founder and President of Millani and is a leading expert in the field of sustainability and sustainable investing, and she is known for anticipating trends. Prior to founding Millani, Milla Craig worked for more than 15 years in the institutional equity markets for major Canadian financial institutions such as RBC Dominion Securities and Scotia Capital, where she was consistently ranked as a top-tier salesperson. Throughout her career, she has worked very closely with senior management and investor relations teams of Canadian publicly-listed companies, as well as financial analysts and investment managers of several Quebec pension and investment funds. Milla then moved to the field of ESG integration and corporate sustainability where she was also actively involved in the development of sustainability strategy, management, stakeholder engagement, and reporting for a variety of Canadian organizations in her role as Deloitte’s Leader – Sustainability, for the Quebec Region. Milla is the Co-Founder and Chair of the Board of the Finance and Sustainability Initiative (FSI), and was part of the Sustainability Accounting Standards Board’s (SASB) Financial Sector review. She also leads the Water Committee and sits on the Executive Committee of the International Women’s Forum’s Montreal Chapter and sits on the advisory board of a number of private organizations. Milla holds a Bachelor of Business Administration from Mount Saint Vincent University as well as the Sustainable Investment Professional Certification (SIPC) designation from Concordia University’s John Molson School of Business. Milla was recently honoured as top performer in the consulting category by receiving Canada’s Clean16 Award for 2017, and in October 2016 she delivered a compelling TEDx MontrealWomen talk on ESG Integration. Lorne Gorber is responsible for leading CGI’s global strategic reputation management initiatives, including serving as company spokesperson. He also is a member of the CGI Executive Committee, which is responsible for the company’s global strategy and operations oversight. Lorne is a recognized leader in the investor relations community and is key to building and upholding our reputation as a partner, employer and investment of choice. In 2017, he was named a CIRI Fellow, a designation for those who have advanced the investor relations profession and the efforts of the Canadian Investor Relations Institute. In 2018, he received the IR Magazine Canada award as best investor relations officer (large cap). Under Lorne’s leadership, CGI’s investor relations program has played a key role in increasing investor perception and relationships. On the public relations side, Lorne leads CGI’s reputation management strategy, enriching our media relations program in support of the company’s growth objectives. Prior to joining CGI in 2005, Lorne worked in the natural resources and entertainment industries, serving in leadership roles within communications and investor relations departments. He began his career as a writer and editor for various publications in Canada and the United States, conceptualizing and developing communications that engaged and informed audiences on a variety of topics. Lorne holds an undergraduate degree from Concordia University in Montréal and a master’s degree from the University of Southern California. Stephen J. Griggs is the Chief Executive Officer of Smoothwater Capital Corporation, a leading privately held “activist” investor. Mr. Griggs is Executive Chairman of TSX listed Genesis Land Development Corp. and Chair of the Board of Haventree Bank, a federally regulated bank controlled by Smoothwater. He is also a member of the independent review committees of the mutual fund groups associated with the Bank of Nova Scotia. Prior to joining Smoothwater, he was until April 2012 the President and CEO of OPTrust, a major public sector pension plan. Prior to joining OPTrust in mid-2011, Mr. Griggs served for three years as Executive Director of the Canadian Coalition for Good Governance, where he represented the interests of leading Canadian pension plans and other institutional shareholders. From 2003 to mid-2007, he was the President and CEO of Legg Mason Canada Inc., with responsibility for the Canadian operations of Legg Mason, Inc., one of the world’s largest global investment management firms, prior to which he was the Chief Operating Officer of two leading Canadian mutual fund companies. Mr. Griggs was also a corporate/commercial and securities law partner with the Toronto law firm Smith Lyons (now Gowlings) until 1994 and remains a member of the Law Society of Ontario with a J.D. from the University of Toronto Law School. Mr. Griggs is a frequent speaker at conferences and educational programs on topics related to investor activism and corporate governance, and has been an adjunct professor at Osgoode Hall Law School and taught at the Directors’ College. Mr. Kalcevich has over 15 years of experience in corporate finance and strategic consulting. 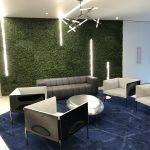 Previously a partner of BG Partners Corp. in Toronto, Canada, he was responsible for planning, structuring and monitoring corporate finance transactions for his firm’s cannabis investments. Mr. Kalcevich was previously a Director of Investment Banking with CIBC World Markets and Oppenheimer in Toronto and New York. During the period of 2005-2012, he completed over 20 transactions representing over $4 billion in aggregate value. Mr. Kousaie is a graduate of Queen’s University’s School of Business. Susan Kushneryk is a partner at Hansell LLP and Government Relations Advisor at Hansell McLaughlin Advisory. Over more than fifteen years, Susan has developed a unique blend of experience in private practice and regulatory law and in government. She started her career in the litigation group at (what is now) Dentons LLP and at Torys LLP, where she represented clients in commercial and class action disputes with a focus on securities and other fraud. Susan then worked as enforcement counsel with each of the Ontario Securities Commission and the Investment Industry Regulatory Organization of Canada. As enforcement counsel, Susan worked closely with the investigators through their investigations before taking matters forward for prosecution. Her cases included a number of complex, multi-jurisdictional frauds. Most recently, Susan was Director of Policy in the office of the Attorney General of Ontario, where she provided advice and leadership across government ministries on a range of legal and policy matters. Prior to joining government, Susan served briefly on the board of the Technical Standards and Safety Authority. Susan has appeared in the Supreme Court of Canada, at all levels of courts in Ontario, the Court of Queen’s Bench of Alberta, and the Federal Court of Canada, as well as before a number of tribunals including the Ontario Energy Board and the Institute of Chartered Accountants of Ontario (now the Chartered Professional Accountants of Ontario). Susan has acted in some of the most significant capital markets related litigation in Canada, including as counsel for the regulators in multiple actions in connection with the asset-backed commercial paper collapse in 2008 and as counsel for an investment dealer in litigation arising from the collapse of Portus Alternative Asset Management Inc., one of the largest investment frauds in Canada. While at Queen’s Park, Susan worked with stakeholders and assisted with policy development within the Ministry of the Attorney General, with the Office of the Premier of Ontario and across ministries, and advised the Minister in connection with various pieces of important new legislation. Susan has spoken frequently on issues regarding the investment industry and topical issues in securities and commercial litigation. Susan has also spoken on issues regarding government policy. In addition to her professional work, Susan has always been engaged in the community, including in politics at the national and provincial levels. Susan Kushneryk obtained her LLB at the University of Toronto in 2000 and was admitted to the Ontario bar in 2002. Marc Lakmaaker is Vice President of Investor Relations at Aurora Cannabis Inc. Prior to this role, he was Head of Practice, Clean Tech at NATIONAL Equicom, Canada’s largest communications and investor relations firm. He has 20 years of experience in financial and corporate communications, corporate finance, marketing and company management in North America, Europe and Asia, and is a passionate advocate of investor and corporate brand building, Marc holds an MSc in Chemical Engineering from the University of Twente, the Netherlands. Craig has more than 30 years of corporate communications experience and has focused exclusively on investor relations for the past 20 years. He has assisted companies of all sizes communicate to the capital markets, form strategies for special situations and build their investor brand. A significant component Craig has more than 30 years of corporate communications and investor relations experience. A significant component of Craig’s IR practice has been in helping newly-public companies approach the capital markets. This includes defining the initial IR strategy and key messages, as well as establishing peer benchmarks and analyst targeting to put measurable outcomes in place. He has established long-term relationships with several clients and as a result has helped them adapt their strategy as they’ve grown, achieved key milestones and faced different stakeholder groups. He also has significant transaction experience from working on over 100 transactions in all sectors of the public markets, including some of North America’s largest IPOs. Prior to joining NATIONAL Capital Markets, Craig held senior positions at two IR consulting firms. He has a bachelor’s degree in History and a Certificate in Communications from the University of Guelph and is a member of the Canadian Investor Relations Institute. Steve leads the Ontario TSX Company Services team. The team provides guidance for publicly traded companies on a number of topics, including: Compliance, Trading, Investor Relations, Disclosure and Corporate Communication. Steve has been with the TSX since 2012 and comes from a sales management and training background. He is a graduate of the Schulich School of business at York University and has completed the CSC. A 25-year Wall Street veteran, Mr. Rose co-founded and served as the Chief Executive Officer of Dahlman Rose & Company, an investment bank focused on transportation, commodities and infrastructure. Under his leadership, Dahlman Rose grew from 6 to 200 employees across five offices in the United States and Canada and expanded its research coverage from a single sector to over 20 discrete sectors focused around the theme of our natural resource economy and supply chain. Mr. Rose advocated a collaborative and horizontally-integrated approach to research coverage which has since been widely adopted. The firm executed over 75 securities offerings for public and private companies, raising in excess of $10 billion for its clients. Dahlman Rose & Company also acted as the sole advisor or co-advisor on numerous high-profile M&A transactions, including the largest public company acquisition in the history of the marine transportation sector. The firm was sold to Cowen Group, a publicly-listed financial services firm, in April 2013. Sudarshan is a Director on the Global Markets Intelligence team. Issuer clients leverage Sudarshan’s experience of over 20 years helping investor relations teams in the Americas and Europe with data, analytics and consulting on shareholder activity. He has written white papers on a variety of topics including trends and drivers of foreign ownership in North American stocks and analyses of mandatory short-selling disclosures in Europe. John joined OTC Markets Group in 2018 where he is responsible for managing the recently acquired Virtual Investor Conference series and broadening our investor access suite of services for issuers. Prior to joining OTC Markets, John was head of Investor Relations Products and Services for Cision/PR Newswire where he launched the Virtual Investor Conference series in 2010. Prior to PR Newswire, John was VP Content Strategy for Thomson Reuters and Managing Director of Computershare/Georgeson’s Shareholder Analytics division. John got his start in the financial information industry with Federal Filings, a start-up newswire focused on regulatory filings, which was acquired by Dow Jones. John holds a BSBA degree in Finance and Computer Science from American University and received his MBA from George Washington University. Malcolm White, CFA, is a portfolio manager and technology, media, and telecommunications specialist at Signature Global Asset Management, a division of CI Investments. He has over 22 years of investment experience and started his career as a software developer. Mr. White has consistently been voted as one of Canada’s top 50 money managers in the Brendan Wood survey, and the fund he comanages won the 2017 Lipper Fund Award as the Best Global Fund in Canada. He recently completed a part-time program in artificial intelligence at a local Toronto university, where, for his capstone project, he created a machine learning application that reads financial transcripts and automatically determines investor sentiment. He holds a BA from Queen’s University. Ben Ashwell is the editor at IR Magazine and digital editor at Corporate Secretary, covering investor relations, governance, risk and compliance. Prior to this, he was the founder and editor of Executive Talent, the global quarterly magazine from the Association of Executive Search and Leadership Consultants. Before moving to the US, Ben was the vice president and editor at Executive Grapevine, overseeing a daily news website, ten annual supplements and HR Grapevine, the UK’s leading HR and talent management magazine. In his spare time, Ben writes fiction, poetry and arts and culture reviews. Eyewear Publishing recently named him in their list of the Best New British and Irish Poets. "Fantastic session. I felt like this was the one in twenty event where you really learn a lot." "Very good use of my time to spend 1/2 day! Panel discussions were perfect in length. Not too long. I thought it was very good. Great use of time, great venue, great panelists"
"Seminar was well attended by IROs and the sharing of ideas was great. The speakers were well prepared and the content was relevant." "Great event with interesting and informative sessions. Really appreciated the macroeconomic session. The format was good - I wouldn't change it. I like the mix of "formal" presentations and panels." "A good condensed and informative seminar and stronger when coupled with the Awards evening. " ""I find attending IR Magazine events a great way to keep my finger on the pulse of all global IR related issues as well as meeting peers and learning about new and relevant topics"." 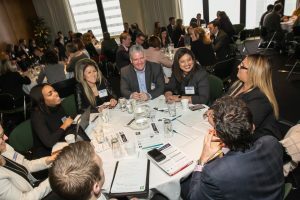 "The IR Magazine Forum was a great opportunity to hear industry insiders and experts' thoughts on the topics most affecting our profession"
"As an IR professional, you will definitely want to attend the annual IR Magazine Forum. 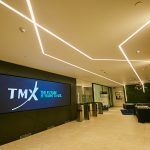 The wealth of information provided by senior IROs, analysts and others in the capital markets is invaluable to enhancing your IR program"
This year’s forum will be hosted by the Toronto Stock Exchange in their brand new conference suite in the heart of Toronto’s financial district. This year, the IR Magazine Awards – Canada 2019 will celebrate it’s 30th anniversary in the glamorous setting of the Ritz Carlton in Toronto. It remains the Canadian IR community’s largest annual gathering and is an evening of unforgettable celebration and networking for investor relations officers along with their senior managements, advisers and analysts. Join us for a fantastic evening after the forum and celebrate the success of those individuals and teams that are leading the way in the IR community in 2019! TMX Group’s key subsidiaries operate cash and derivative markets and clearinghouses for multiple asset classes including equities and fixed income. Toronto Stock Exchange, TSX Venture Exchange, TSX Alpha Exchange, The Canadian Depository for Securities, Montréal Exchange, Canadian Derivatives Clearing Corporation, Trayport and other TMX Group companies provide listing markets, trading markets, clearing facilities, depository services, technology solutions, data products and other services to the global financial community. 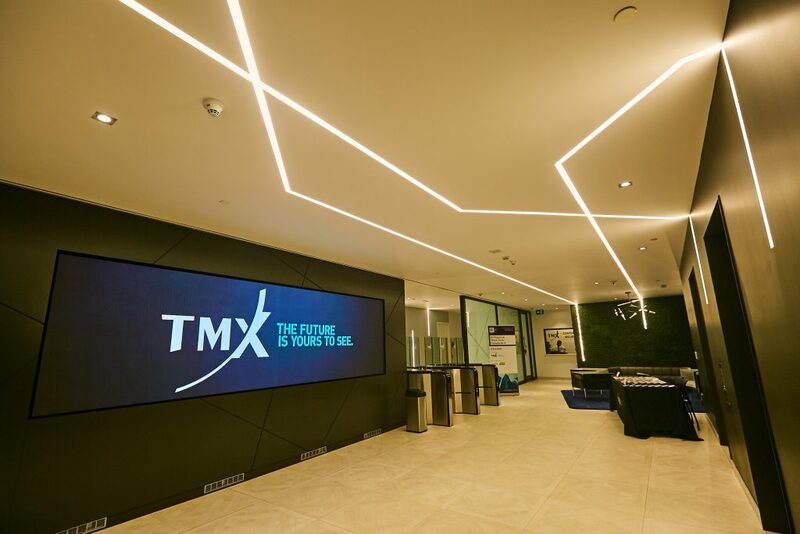 TMX Group is headquartered in Toronto and operates offices across North America (Montréal, Calgary, Vancouver and New York), as well as in key international markets including London, Beijing and Singapore. For more information about TMX Group, visit our website at www.tmx.com. Follow TMX Group on Twitter: @TMXGroup. Les filiales principales du Groupe TMX exploitent des marchés au comptant, des marchés dérivés et des chambres de compensation couvrant de multiples catégories d’actifs, dont les actions et les titres à revenu fixe. La Bourse de Toronto, la Bourse de croissance TSX, la Bourse Alpha TSX, La Caisse canadienne de dépôt de valeurs, la Bourse de Montréal, la Corporation canadienne de compensation de produits dérivés, Trayport et d’autres sociétés du Groupe TMX offrent des marchés d’inscription, des marchés de négociation, des mécanismes de compensation, des services de dépôt, des produits d’information et d’autres services à la communauté financière mondiale. Le Groupe TMX a son siège social à Toronto et des bureaux dans l’ensemble de l’Amérique du Nord (Montréal, Calgary, Vancouver et New York), ainsi que dans des marchés internationaux clés, dont Londres, Pékin et Singapour. Pour en savoir plus sur le Groupe TMX, visitez le www.tmx.com. Suivez le Groupe TMX sur Twitter : @TMXGroup. IHS Markit (Nasdaq: INFO) is a world leader in critical information, analytics and solutions for the major industries and markets that drive economies worldwide. We support all participants in the capital-raising process including banks, public and private companies, institutional and individual investors, as well as research, asset management and wealth management firms. Our extensive suite of investor relations services provides our corporate clients with unparalleled cross-asset class surveillance, investor targeting, buy-side perception studies, transaction analysis and predictive analytics. Additionally, Ipreo’s BD Corporate IR workflow platform offers the most accurate and comprehensive database covering global institutional contacts, profiles, and ownership data. Our critical insights and flexible solutions help our clients run more effective investor relations programs. OTC Markets Group Inc. (OTCQX: OTCM) operates the OTCQXÂ® Best Market, the OTCQBÂ® Venture Market, and the PinkÂ® Open Market for 10,000 U.S. and global securities. Through OTC LinkÂ® ATS, we connect a diverse network of broker-dealers that provide liquidity and execution services. We enable investors to easily trade through the broker of their choice and empower companies to improve the quality of information available for investors. CIRI is a professional, not-for-profit association of executives responsible for communication between public corporations, investors and the financial community. CIRI contributes to the transparency and integrity of the Canadian capital market by advancing the practice of investor relations, the professional competency of its members and the stature of the profession. With more than 550 members and four chapters across the country, CIRI is the voice of IR in Canada and the world’s second-largest society of investor relations professionals. To learn about the benefits of membership including our advocacy efforts and professional development opportunities, please visit CIRI.org. Fortis is a leader in the North American regulated electric and gas utility industry with 2017 revenue of C$8.3 billion and total assets of approximately C$49 billion as at March 31, 2018. The Corporation’s 8,500 employees serve utility customers in five Canadian provinces, nine U.S. states and three Caribbean countries. Millani is a leading Canadian advisory firm in the field of ESG integration in capital markets. For the past 10 years, Millani has become the partner of choice for institutional investors, both asset owners and managers. By providing advisory services on integrating material ESG issues into their investment strategies and decision-making processes, Millani helps its clients reduce risks, increase returns, and create value. Today, Millani is also leveraging this expertise and its experience in sustainability consulting to help reporting issuers reduce risks and seize opportunities by improving their ESG disclosure to investors. 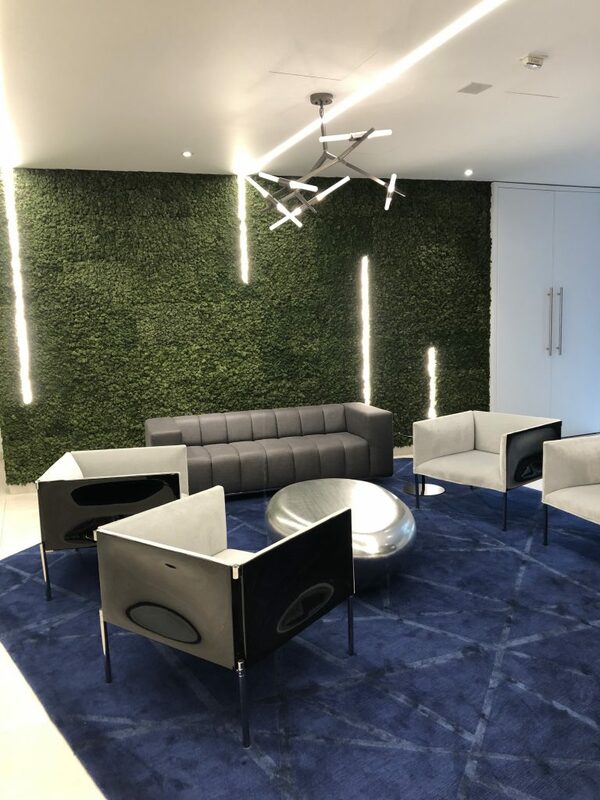 Millani’s success is founded on a bespoke, client-centric approach that focuses on material issues, practical implementation, and independent advice. Its extensive capital market experience and unparalleled expertise in ESG and its connection to value creation position Millani at the nexus between investors and companies, making it unique in the Canadian market. West Digital Media Solutions delivers your mission-critical communications to shareholders, media, analysts, and all of your key stakeholders. We provide tools, technology, and intelligence to help you target the right audiences, reach across multiple channels, and monitor the impact of your messages. Our integrated suite of services for investor communications includes press release distribution and regulatory filing, IR websites, webcasting, and media monitoring. Thank you for your interest! We are at capacity now for the forum and are operating a waiting list. To get on the waiting list, please contact [email protected]. Thank you.